So, the sidewalk egg-frying experiment made me think about some of our previous science experiments after work. 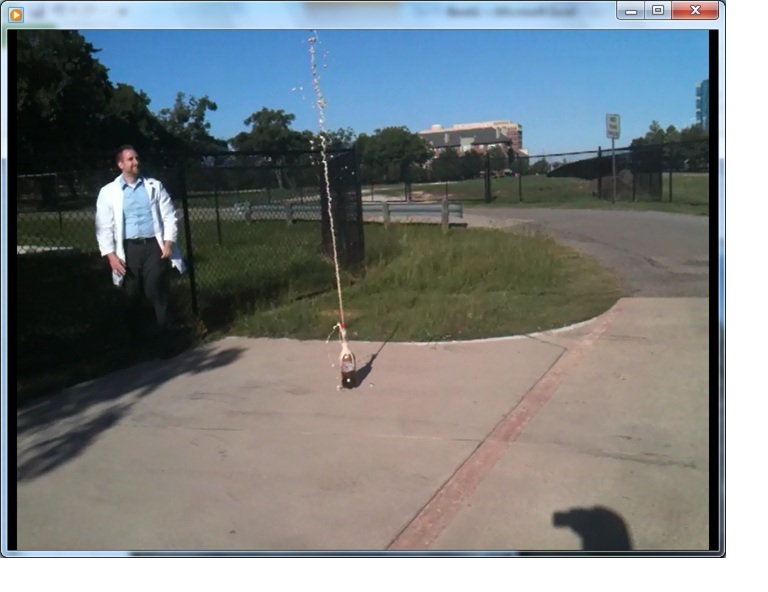 The first one was an attempt at the classic Diet Coke and Mentos explosion. If you’re not familiar with it, hop on over to YouTube. It’s a fairly popular Bill Nye the Science Guy-style trick. 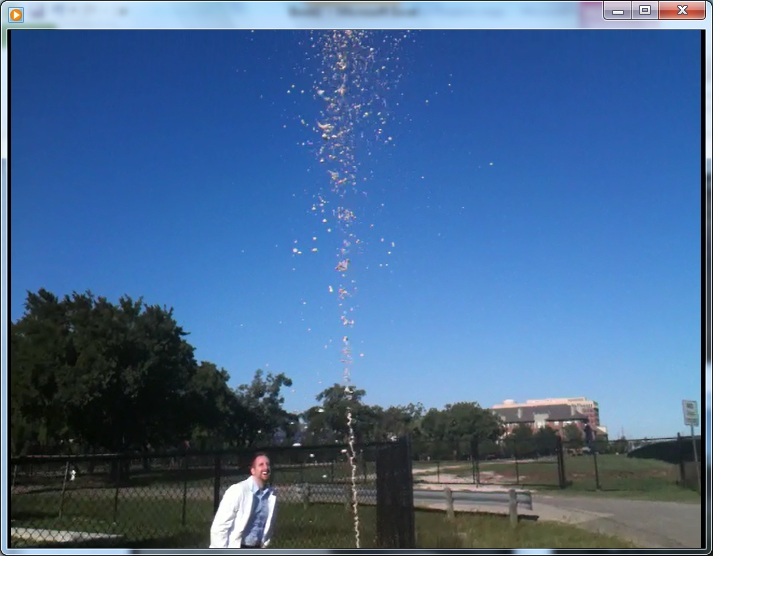 Essentially, adding Mentos candy to Diet Coke causes an extremely quick and foamy reaction. I don’t know the chemical steps, but the basic science amounts to the small pores in the Mentos hard coating catalyzing the fast release of CO2 gas from the soda. Apparently, this experiment doesn’t work very well with other types of soda or at all with different candies. For our procedure, we went right for the good stuff. 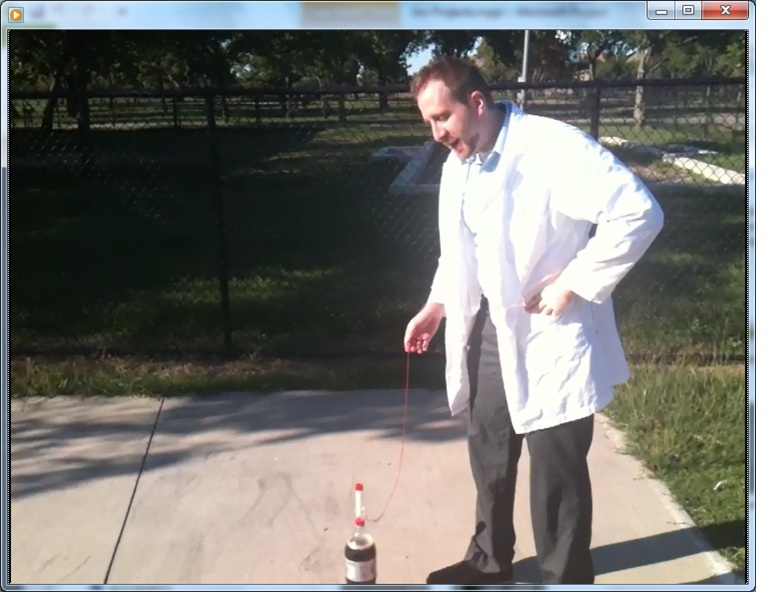 We rigged up a Mentos Release Device, so a trap could be opened by pulling a string. Trap is released, then the Mentos plop into the Diet Coke.